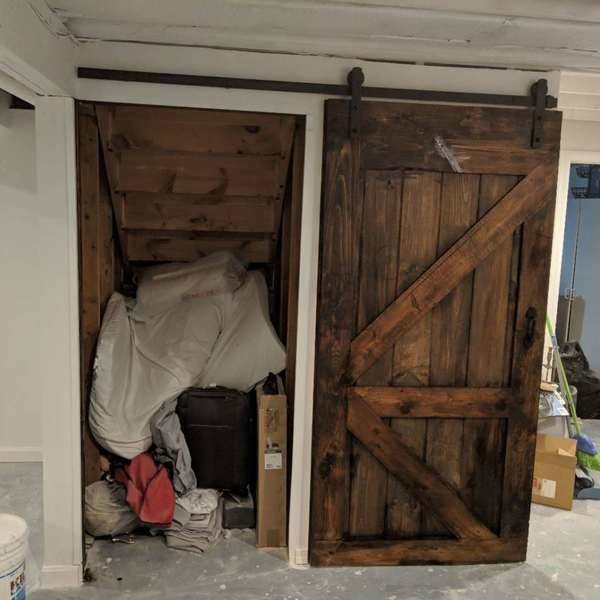 I was remodeling my basement. There was an opening under the staircase. 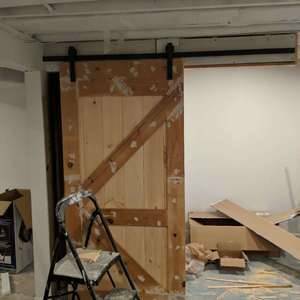 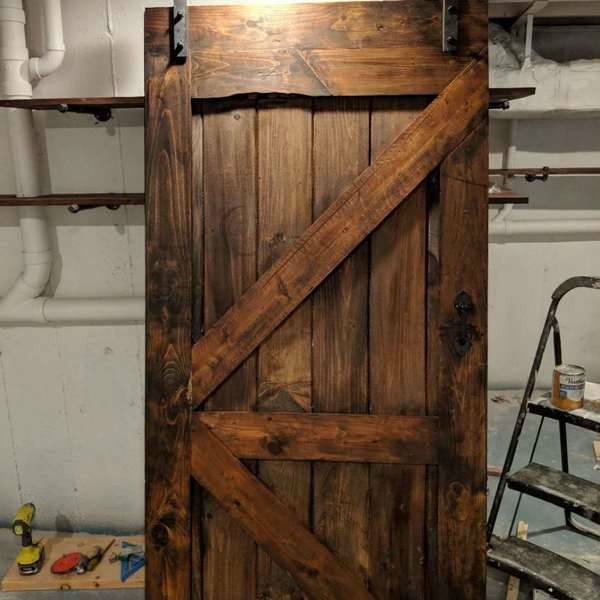 I decided to build an easy barn door to cover it. 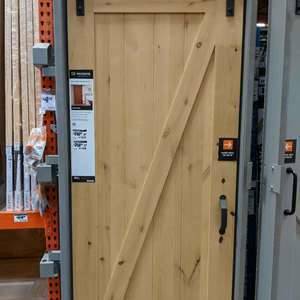 All lumber materials are from home depot. 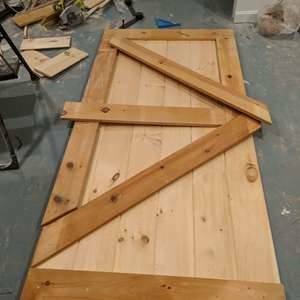 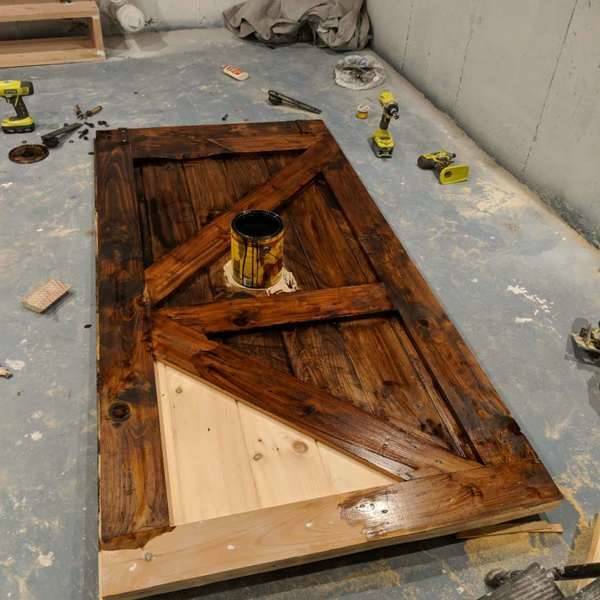 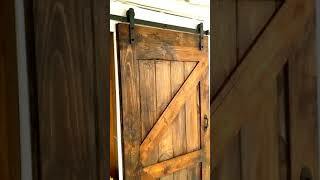 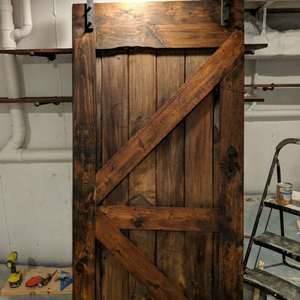 The total cost includes hardware kits cost around $100 comparing to the similar finished barn door sold at $399 in Homedepot. 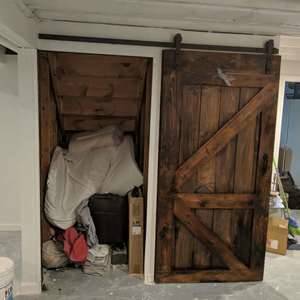 I was remodeling my basement. 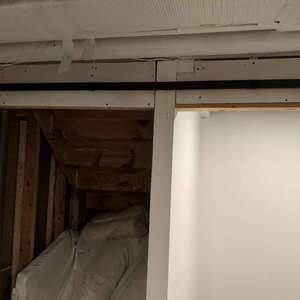 There was an opening under the staircase. 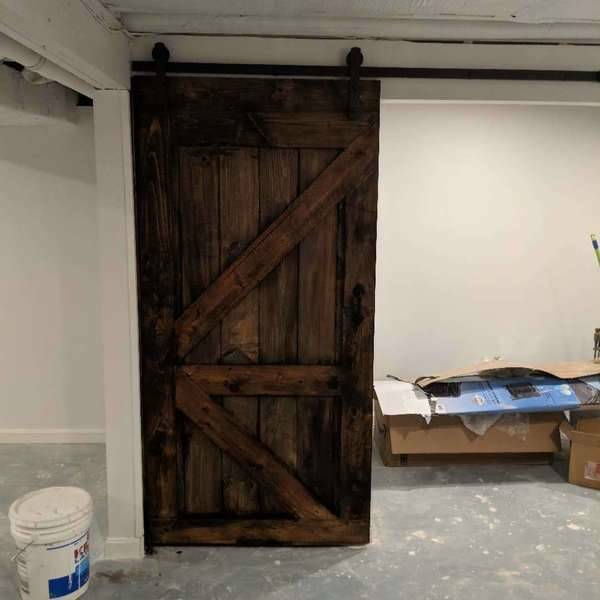 I decided to build an easy barn door to cover it. 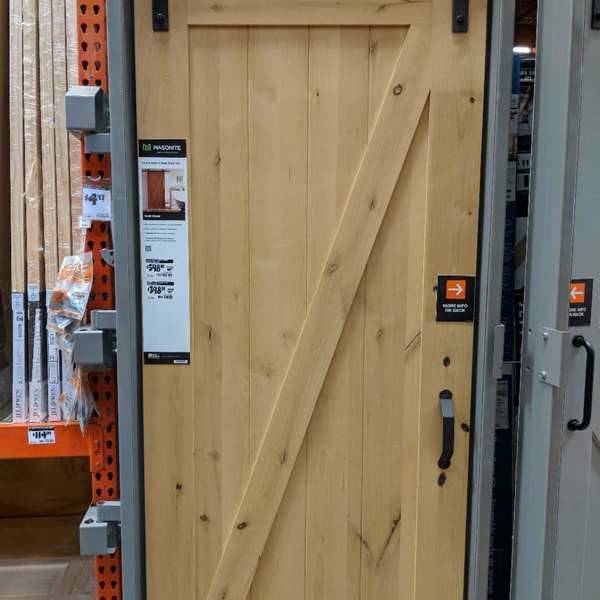 All lumber materials are from home depot. 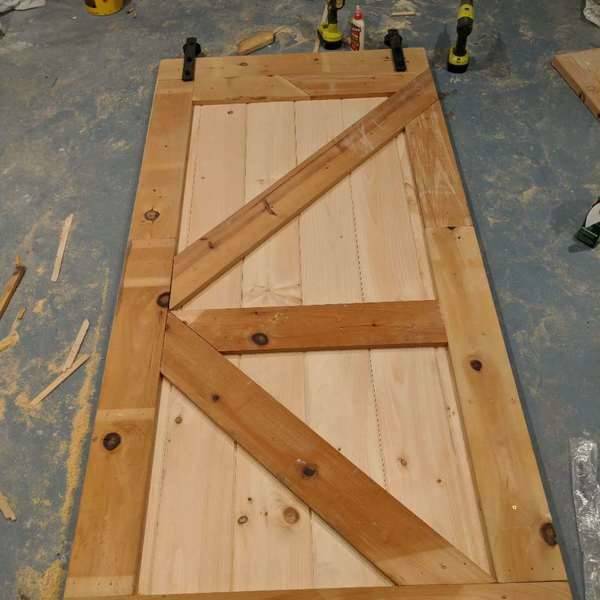 The total cost includes hardware kits cost around $100 comparing to the similar finished barn door sold at $399 in Homedepot.